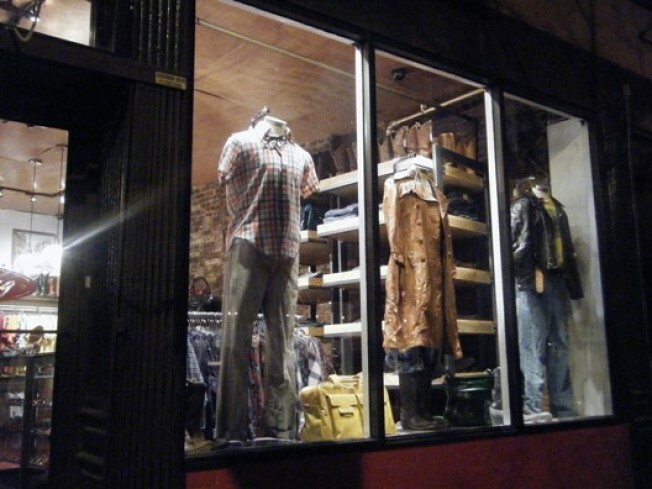 At first glance, the Clothing Warehouse, which just opened a branch at 8 Prince Street in Nolita, sounds a lot like Buffalo Exchange. It's a company that operates clean, well-managed vintage stores, franchising them across the nation (in this case, mostly the South.) But Clothing Warehouse leaves out the "exchange" part of Buffalo Exchange. It doesn't do consignment or allow trades, meaning the clothing only moves in one direction: From the store to the shopper. As a result, there's little chance of finding the sort of designer resale treasures you can spot at a Buffalo Exchange, but the mostly nameless, cowboyish merchandise is cute, and, for a vintage store in Nolita, not outrageously priced. Boots are $50 to $80, dresses are around $65, western-style men's shirts are around $30, and vintage Levis are $46.95. There's also a big selection of vintage leather belts ($80 to $100) and sunglasses ($14.95), and a bin of wee kids' clothes for underaged hipsters. To read more, click over to the Cut's write-up.